Stonehenge is one of the UK’s most important heritage sites, with a worldwide reputation, yet for decades it was not treated with the respect it deserves. While visitor centres all over the country equipped themselves with video and interpretive facilities, cafés and baby changing rooms, Stonehenge's ugly car park and complete lack of information, not to mention a noisy location right next to a busy road, felt increasingly anachronistic. But no more. Yesterday the long-awaited new visitor centre finally opened its doors, and the big idea is that it's located 1.5 miles from the stone circle itself. Built mainly out of glass, the new building floats above Wiltshire’s rolling plains, linked to the main site by a shuttle service which runs along what was until recently the busy A344, which is now closed to all other traffic. Visitors are also encouraged to walk to the site, passing through woodland and fields to reach the iconic stones. It is a far better introduction. Arriving at the visitor centre, there is a real sense of anticipation, partly engendered by the fact that you cannot yet see the stones. Instead, I stand inside a 360-degree theatre, surrounded by rolling footage of Stonehenge through the ages and the seasons, and am spellbound. 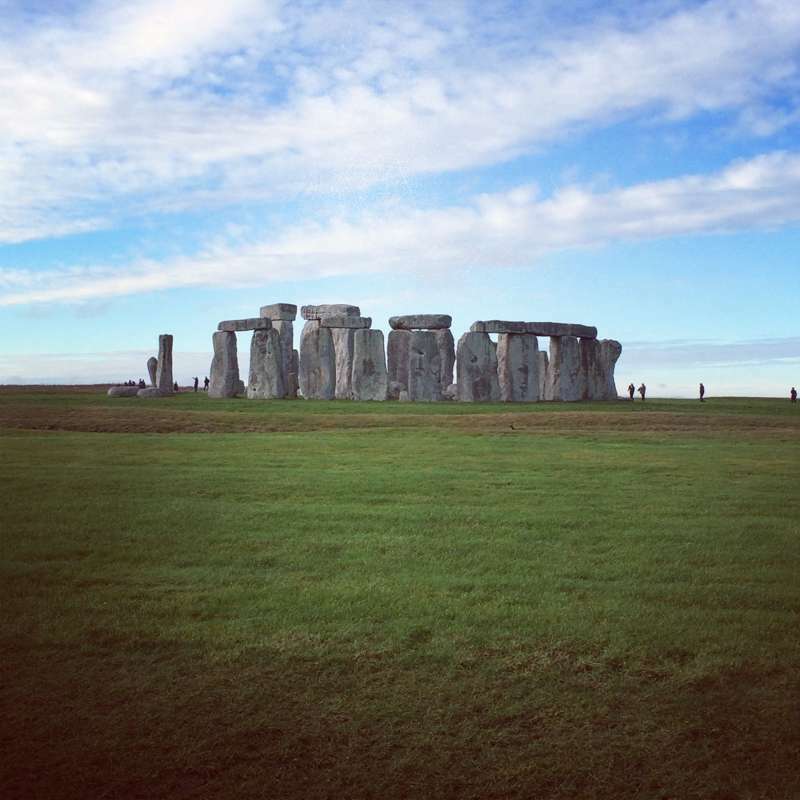 Even though I have visited Stonehenge numerous times, this is a special experience, featuring film of both the summer and winter solstice to neatly convey just how incredible this prehistoric temple is, aligned as it is with the movements of the sun. The rest of the exhibition features more than 250 objects, never before seen together, that tell the story of Stonehenge and what we understand about it. This is very little, but no matter, vsitors can still marvel at 4,000-year-old coins and jewellery, 14th-century drawings of the stones, the earliest known to exist, and even the reconstructed face of a 5,500-year-old man (curiously reminiscent of the Big Lebowski), and all a world away from Sixties portacabins they had before. The walk to the stones takes just long enough for it all to sink in and by the time I arrive at the I feel as though I am approaching it for the first time. Those vast stones, stacked so perfectly, suddenly seem all the more amazing. I still can;t get up really close, but without the noise of the A344 I can stand in silence and truly appreciate Stonehenge – in a way that feels more spiritual and closer to their original purpose.